Recently Mommy participated in the BUDS Household Eco products contest organized by Parenthood, Today Publishing and I believed that luck was on our side when we won a BUDS Household Promotional Set worth RM145.00 which consists of Baby Safe Fabric Softener, Baby Safe Bottle & Utensil Cleaner and Baby Safe Laundry Detergent from BUDS. Before I moved on, just a little introduction of this master of cleaning power from NATURE. As a mother, I strongly believed that we always wanted the best for our kids especially when they are still baby and to protect them all rounded from viruses to harsh chemicals that can really harm our little one either externally or internally. Many cleaning products selling in the market claim to be safe to be used on baby but actually leave behind harmful residue that is always undetected by our naked eye, unfortunately. And hence, it is very important for us, parents to be able to identify and choose the right household products that are genuinely safe to be used on our baby/kids. 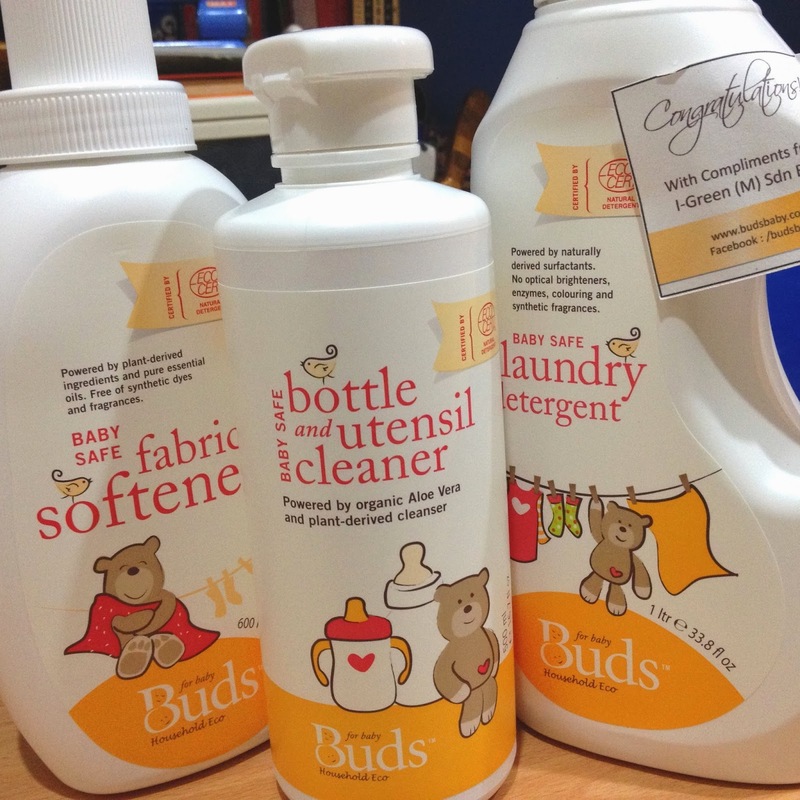 BUDS Household Eco products are certified as Natural Cleaning Products according to ECOCERT detergent guidelines mainly because BUDS Household Eco products uses only safe, mild and plant-derived ingredients such as plant protein, essential oils, aloe vera and etc. formulating a range that gets rid of germs, dirt and chemicals organically. Hence, words like Parabens, PEG, Triclosan and others quite well known chemical names can never be seen on their labels and this definitely gave us a piece of mind when using BUDs Household Eco products. For your further information, ECOCERT is a certifying body known and acclaimed for its credibility, integrity and stringent certification process.